Posted on November 22, 2018, in First-hand Accounts, Home Front, Korean War, SMITTY, Uncategorized, Vietnam, WWII and tagged 1940's, family history, History, Military, Military History, Thanksgiving, veterans, Vintage, WW2, WWII. Bookmark the permalink. 161 Comments. Thankful for all of those serving our country throughout the year. 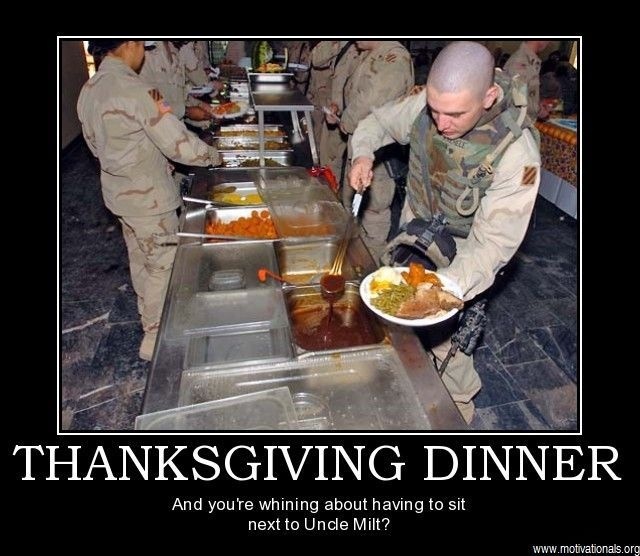 Holidays have to be an especially difficult time to be away from their families no matter what the military might try to provide in the way of Thanksgiving dinner. Agreed, Bev. Thank goodness nowadays they at least have I-phones and Skype. Thank you very much. Please have a very good day. My brother and uncle were in the Navy! My brother was a Nuclear Engineer. Right now, I have a loved one in the Army. I’m not sure if I’m allowed to say what he does because of OPEC Rules. Thank your family members for their service for me, please. I’ll be looking forward to your poem. Thank you for contributing your work. It’s wonderful! A moving reminder of all those who have sacrificed for our freedoms. Thank you. You have a terrific blog yourself! Bet the turkeys don’t think the same about all that, but I love these posts and the memories evoked. Happy to hear that, Maureen. I love Post like this that put it all into perspective. 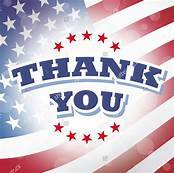 Thank you TH for helping me to share not only the history, but the men who watch our backs today!! I just wanted to take a moment over this Thanksgiving Weekend Holiday to THANK YOU GP for this awesome blog! 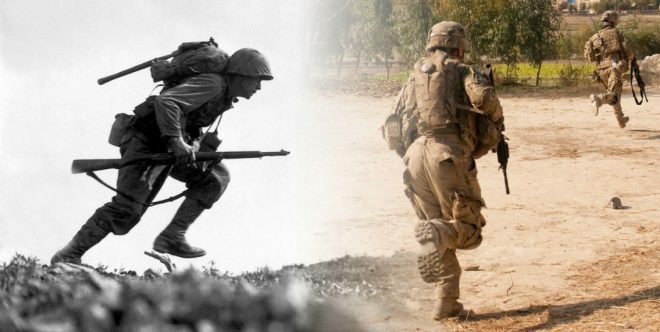 As a Veteran, it is extremely important to me personally to keep the memory and spirit of not only the WW2 Generation but ALL those Marines, Soldiers,, Sailors and Airmen (in that order, LOL) that came before us and ‘laid it on the line’ so that other may be free. Keep up the Good Work GP and Always Know you have a brother here in Texas supporting you! I thank you very much for those words. It is people such as yourself that help to make this blog what it is! While your site tries to show people how to stay safe today. So true. 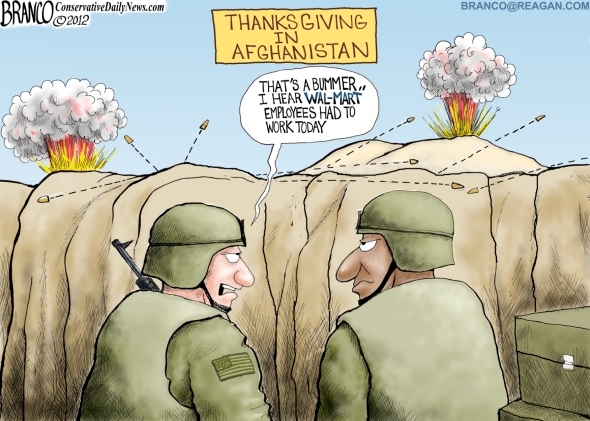 Letters took forever to get delivered and the enemy fighting – bad happy holiday all the way around. But they somehow made the best of it and did their duty. Enjoyed reading this post and seeing the food items received. I hope these holidays treat you well!! That’s a whole lot of turkey 🙂 keeping the family together so to speak. Never thought of it like that – very good! Grateful for all those who fought for our freedom. Hope you and your family had a lovely Thanksgiving. Small, quiet, but very grateful! Thank you. Thank you for sending the link. It shows they did not die needlessly, but for the freedoms of all. It is especially nice when other countries remember. And the same to you, Michael! It is really important for a country to support its service personnel overseas (They don’t make the policies.) And one of the best ways of doing this is to give them the means to celebrate traditional the festivals of the year. 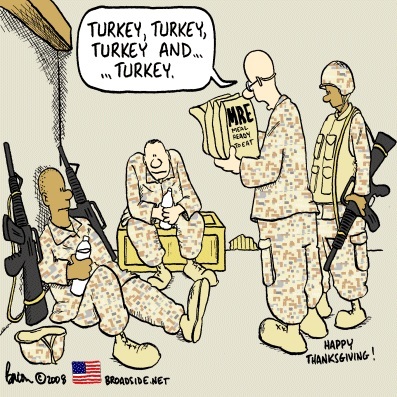 9,738 whole turkeys and 51,234 pounds of roasted turkey should go a long way to achieving that! 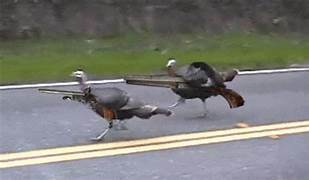 I remember Dad telling me that giving the men a piece of home for the holidays, such as a turkey, was considered high-priority. A little bit goes a long way in morale. Quiet but good, thank you. Hope yours went well! !